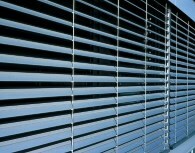 Pleated blinds are ideal for all types of windows. With great functionality and a wide range of fabric features such as flame resistance, pleats are suitable not only for residential but also for industrial or office purposes. With our extensive collection of fabrics, you're sure to find the perfect complement for your interior and decor in our online shop. Pleats with printed fabrics are also available. Our pleated blinds fit all shapes and sizes of windows perfectly. 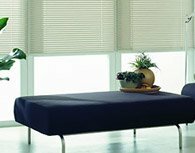 Functionality combined with a wide range of fabric properties such as flame resistance mean that our pleated blinds are suitable for all kinds of spaces, whether residential, commercial or industrial. All our pleated blinds are available in our store in XL versions. Get pleats for all types and models of skylight. 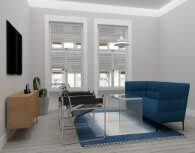 Pleats can be fitted with a membrane and additional guides to filter the amount of light entering your room. For customers with special requirements, two-fabric pleats are available. You then have flexibility of choice in terms of which fabric covers the window at any given time. Our pleated blinds aren't just functional, they add the finishing touch to your interior. 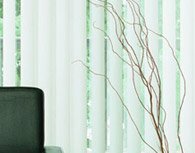 Vertical blinds are the perfect choice for offices, surgeries or lecture theatres. They also enhance your living room. Along with a wide range of fabrics, our vertical blinds come with several types of control and the option of any slat arrangement. On request, we can make slats with a particular print. Charm and simplicity. For those who want functionality with an unpretentious classic look. 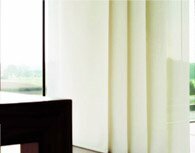 Our blinds also have a multitude of options in terms of forms and controls. Our wide fabric collection ensures you'll get the right match for any interior. Satisfaction guaranteed. On request, we can make roller blinds with a photo print. 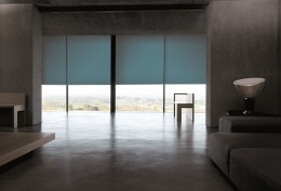 Are you looking for an outsize roller blind? If so, you’ve come to the right place. 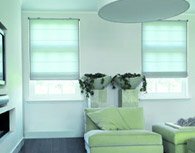 We have models with or without cassettes which are much larger than standard models, but still come with a wide range of operating options and fabrics, enabling you to colour match your blinds to every interior. Satisfaction guaranteed. 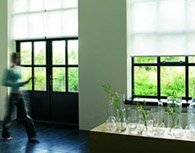 Maxi roller blinds are designed for large windows in spaces such as offices, gyms and workshops, where a traditionally-sized blind is too small. Wir bieten maßgefertigte Dachfensterrollos für alle gängigen Dachfenstertypen an. Sie sind bestens geeignet, um sich vor zu hoher Sonneneinstrahlung zu schützen oder Ihren Raum völlig zu verdunkelnd. Dabei können Sie unter einer Vielzahl von Stoffen und Farben wählen, um Ihr individuelles Dachfensterrollos zu konfigurieren. Have you seen our blinds featuring printed designs? Our printed products are made to a very high standard in terms of manufacture, quality and environmental protection. The wide range of products will enable you to turn dull, monotonous rooms into spaces that are full of positive energy, while the huge selection of graphics means that even the most original tastes are well catered for. 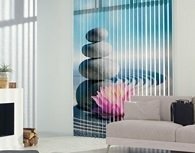 As one of the few manufacturers on the market, we also give you the option to get your own graphics or photos printed on your blinds to create a totally bespoke, unique product. 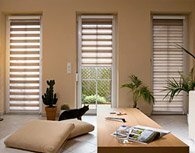 Venetian blinds are the classic choice. However, we're sure that with the number of colours available, the variety of control methods and the option for blinds in almost any shape we'll be able to meet every need. 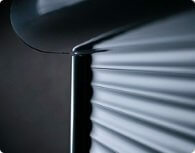 The raising and lowering of the blinds takes place as with the pleats (the top and bottom rails are movable). The slat turning depending on the selected type of control. A great way to enhance a room's appearance at an affordable price. A contemporary alternative to aluminium Venetian blinds. 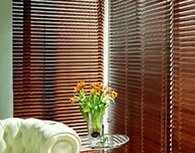 Wooden blinds are available in two slat widths: 50 mm and 70 mm. Another plus is their ease of use. Their classic look in combination with heat-controlling features make wooden blinds a truly versatile product for any interior, whether it's a lawyer's office or your living room. 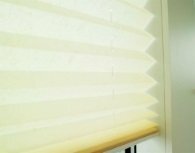 Day & night blinds are many options all in one product. 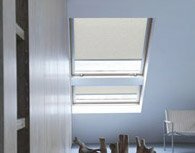 You get functionality from the fabric combined with the ability to adjust the amount of light entering the room straight from the blinds. All this thanks to a fabric that extends in two planes and, with its horizontal bands which allow varying degrees of opacity, allows for a smooth change depending on your needs. Another plus is the wide selection of colours and fabrics available. Panel blinds are a great alternative to vertical blinds. A panel blind is made up of large fabric panels from 50 to 120 cm in width which move along rails. The individual panels can be moved sideways and thus regulate the amount of light on an individual panel basis. The panel blinds can be customized both in height and width and the panel carriers and rail adjusted precisely to your needs. Combining elegance with classic functionality, Roman blinds are ideal on their own as a window covering or as additional decoration for another window dressing. In our collection you'll find a full range of colours and fabrics specially dedicated to Roman blinds. Our blinds add a great finishing touch to any interior. These kinds of shutters are usually mounted outside a window or door. In our store you'll find a huge range of cassettes, rails and colours, along with high-quality motors that can be operated via a wall switch or remote control. Our range is constantly expanding; as a result, we now stock electric motors from well-known manufacturers on our website. We primarily supply respected and reliable products from companies such as Somfy or Selve, as well as our own Sunlux24 brand electric motors. Our range includes both standard motors operated via a switch and radio controlled motors. 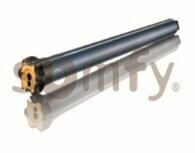 We also supply motors with a range of parameters including power, ease of assembly and control type. For customers with specific needs, we recommend electric motors that can detect ice and obstacles. And all this comes at a highly competitive price. Our store stocks a range of practical products to protect your home or office interior from insects. Our mosquito screens are a practical way to keep tiny intruders at bay and are a simple yet effective solution for all those who appreciate a good night's sleep with the window open and no annoying buzzing. 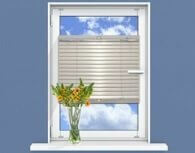 Classic Venetian blinds provide excellent protection from the sun and wind. Mounted on the building exterior, they're a decorative element that gives the façade a contemporary look. 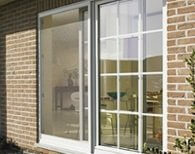 They're suitable not only for office or large buildings but also ideal for private properties. Mini roller blinds are ideal for those who like both classic and contemporary styles. Our products combine the two, with functionality in a modern design. A further plus is the mounting, which requires no drilling. With a wide range of fabrics and colours to choose from, you’re sure to find what you’re looking for. Our range consists of free-hanging maxi roller blinds (models 65 and 80) and cassette-mounted maxi blinds (model 43). 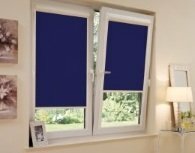 Maxi blinds can also be fitted with side guides, so that they stay the same distance from the window, regardless of whether it’s open or closed. The basic cassette model is operated with a traditional plastic beaded chain, while blinds without a cassette are operated with a manual crank. For customers needing more sophisticated control, electric blinds are also available; the most popular are currently roller shutters with a battery-operated motor. 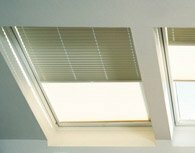 With these, you can enjoy the convenience of an electrically-powered blind without having to do any extra wiring. Maxi roller blinds come in a rich collection of fabrics; therefore, you’ll find it easy to match the fabric colour to your interior decor. With our our fabric filter, you can easily search for fabrics using different parameters, such as opacity, colour or moisture resistance. The cassette model is available in white, silver, cream and black. For models with no cassette, the system comes in white and silver. Due to the probable dimensions of your blind, mounting can be on the wall or the ceiling. All our products are delivered with a set of mounting brackets. You just need to choose the relevant mounting method in our configurator. Try before you buy with a free fabric sample. Please click Proszę kliknąć hereto go to the order page. Please make an accurate measurement of your window. Refer to the measurement manual. © 2014-2018 Sunlux24. All rights reserved.